Ski, snowboard, telemark... Your choice! 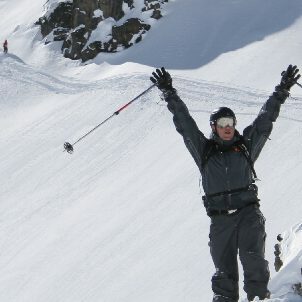 Are you on holiday in Tignes and want to progress quickly ? Do you want to ski with family or friends? 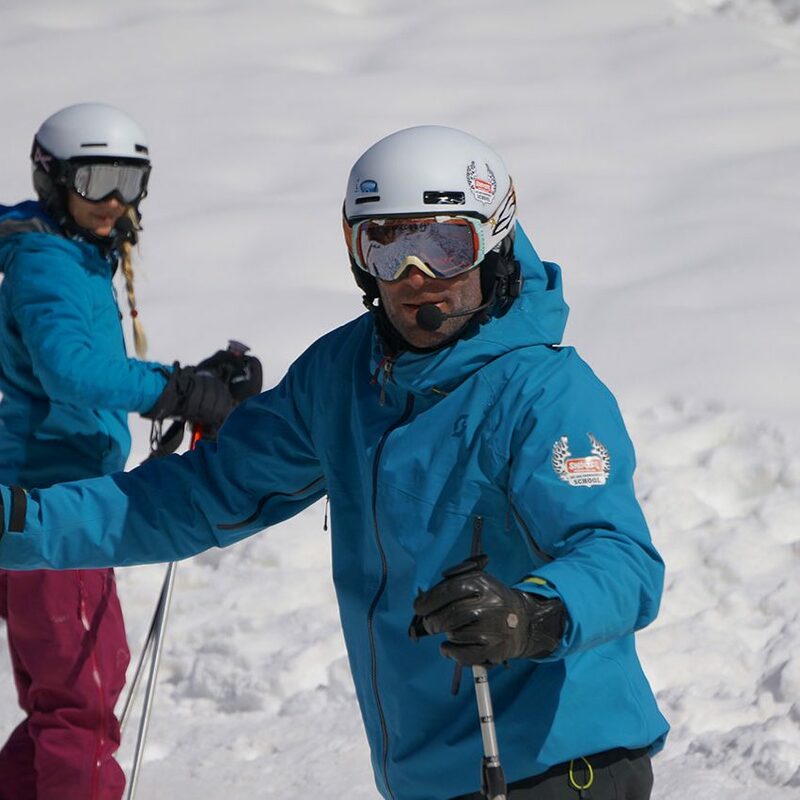 To ski at your own pace, choose our private lessons and enjoy playful advice. This formula is ideal to gather with friends of the same ski level, have a good time while sharing the price of the lesson, or to ski alone with a ski instructor that will help you progress! 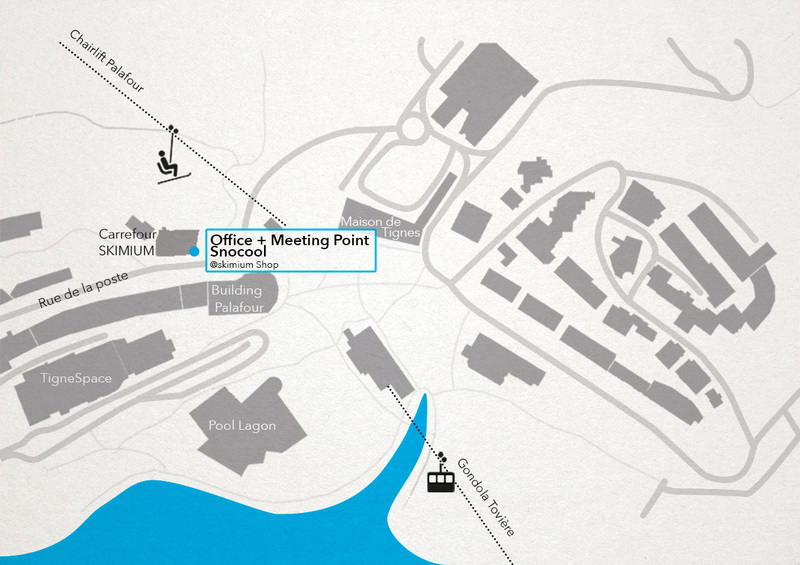 Otherwise your instructor will wait for you in front of the Snocool office on the ground floor of the Skimium ski shop of the Post office road just above the Palafour chair lift. If you are not sure how to find it, click on the map opposite.